With food, fun and fashion on all sides, Encanto at Dos Lagos offers you a piece of paradise. While everything from live music venues to delectable brunch spots abounds just beyond the community grounds, your home at Encanto at Dos Lagos delivers a tranquil space to relax and recharge. 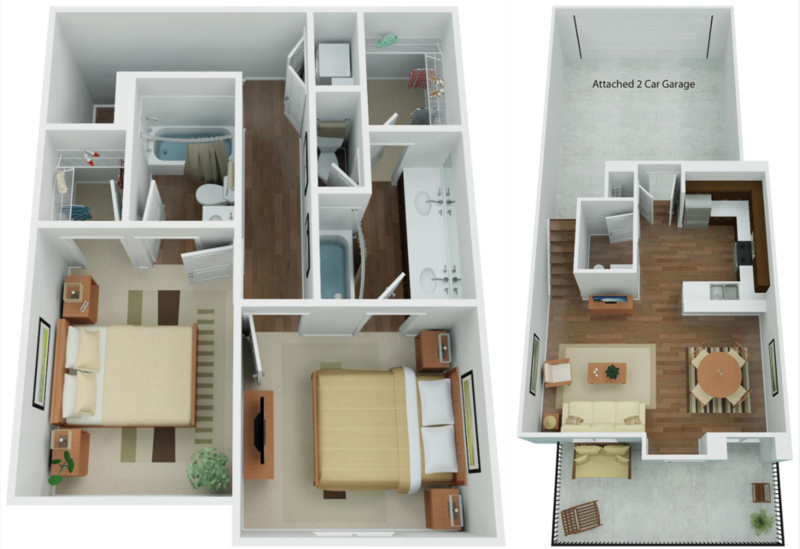 Choose from 1 and 2 bedroom apartments or multi-level townhomes designed to satisfy all of your home desires. 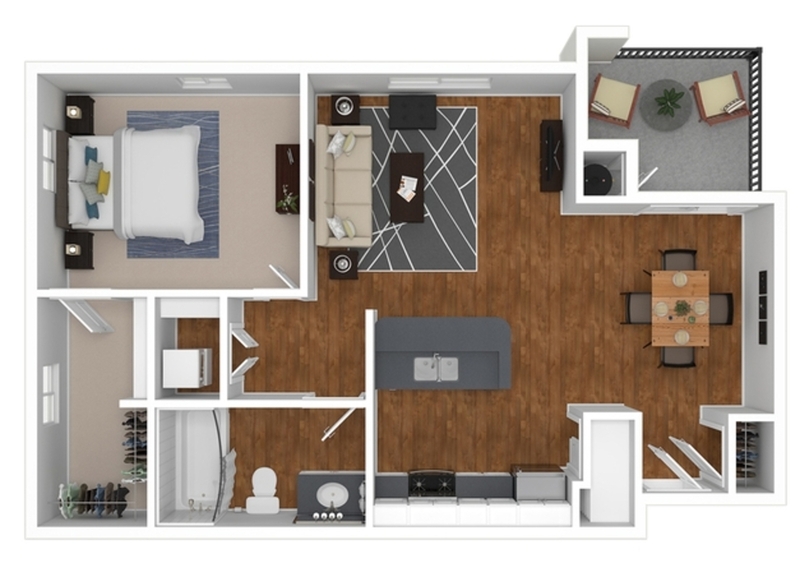 Inside, open-concept floor plans available in five styles are enhanced by hardwood-style floors that connect the common areas. The kitchen serves as a focal point with sophisticated finishes, including quartz countertops and shaker-style cabinets, which glow beneath recessed lighting. The bathrooms also boast quartz countertops, and the bedrooms stay cozy with plush carpeting. 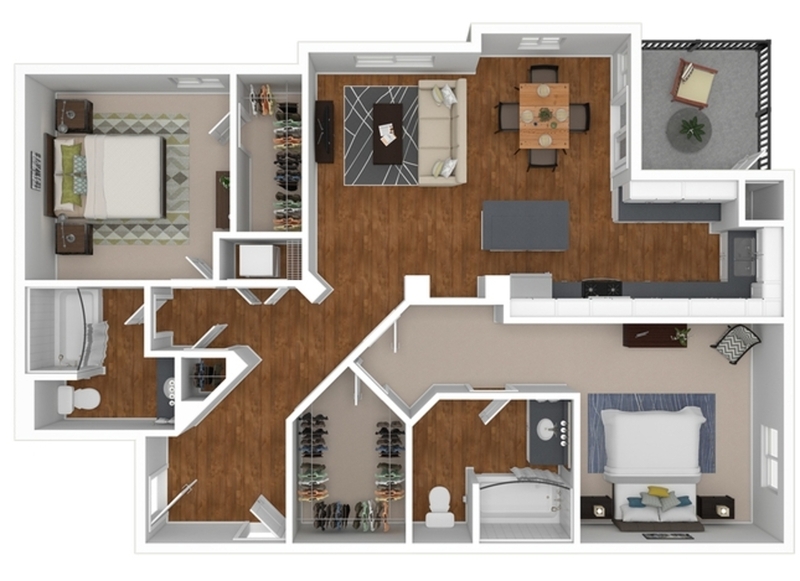 In addition to the stylish finishes, every home offers convenient features as well, such as an in-home washer and dryer set and garage parking. 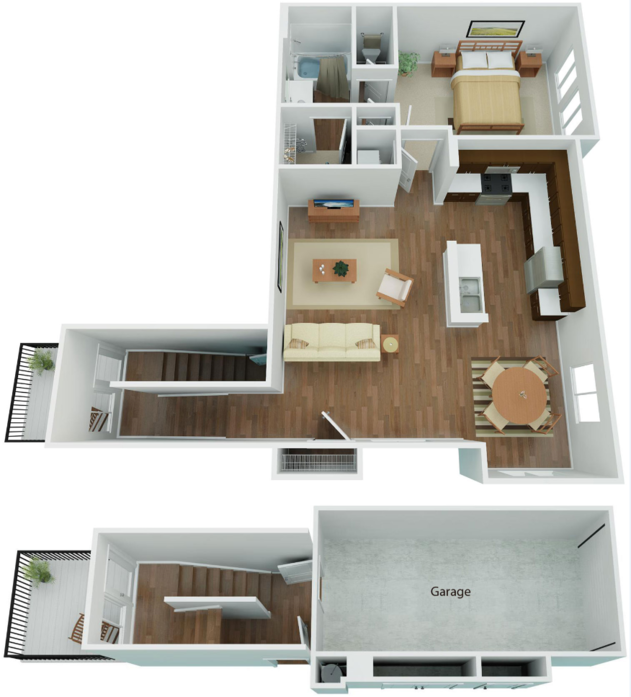 Select floor plans include an attached garage with private access and walk-in closets. 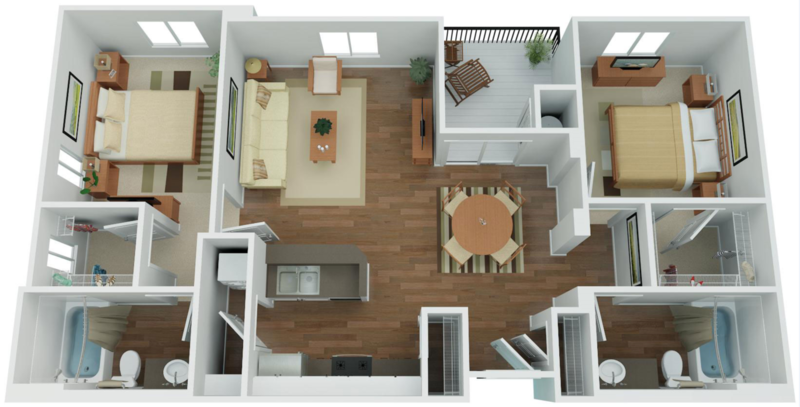 Call today to schedule your tour of these Corona, CA homes.